I'm super thrilled to be the guest blogger over on the Mushrooms Canada blog today. I created these Wild Mushroom & Asiago Risotto Cakes just for them, and mushroom lovers everywhere! Know what's even better than risotto? Risotto cakes. Head on over here to read all about them and get the recipe. You'll wish you had a super nice sister to send you wild mushrooms on the bus! Thanks Juanita! I just saw these beautiful risotto cakes on Pinterest and followed the link here (and then to Mushrooms Canada). I really love this recipe, it's so hearty and nourishing. A true comfort food :-). And I LOVE wild mushrooms. I have made wild mushroom risotto before, but next time it will your risotto cakes :-). I have followed your blog for a while. You have a beautiful site, with so many delicious ideas :-). So I would like to invite you to share this post (and other posts :-) ) on a new photo based recipe sharing community that launched only last week. The idea is simple: all recipe photographs are published within minutes of submission. And, of course, the images link back to the author's site. I've seen all sorts of interesting cakes today- adding your risotto cakes to that list. 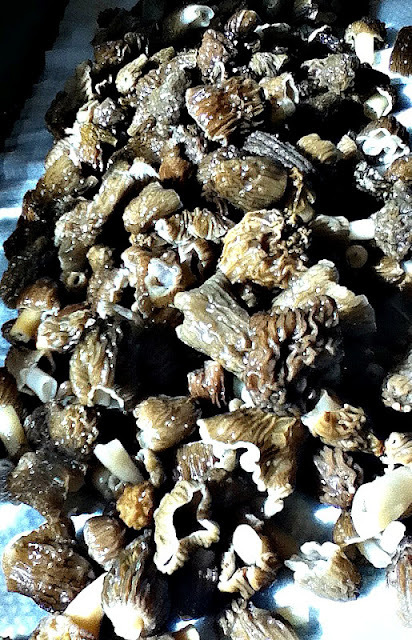 I love mushrooms, especially morels, although I'm not lucky enough to have family members who foraged a wild supply for me. You lucky girl! Mushrooms Canada blog is lucky to have you share this fabulous recipe with them. 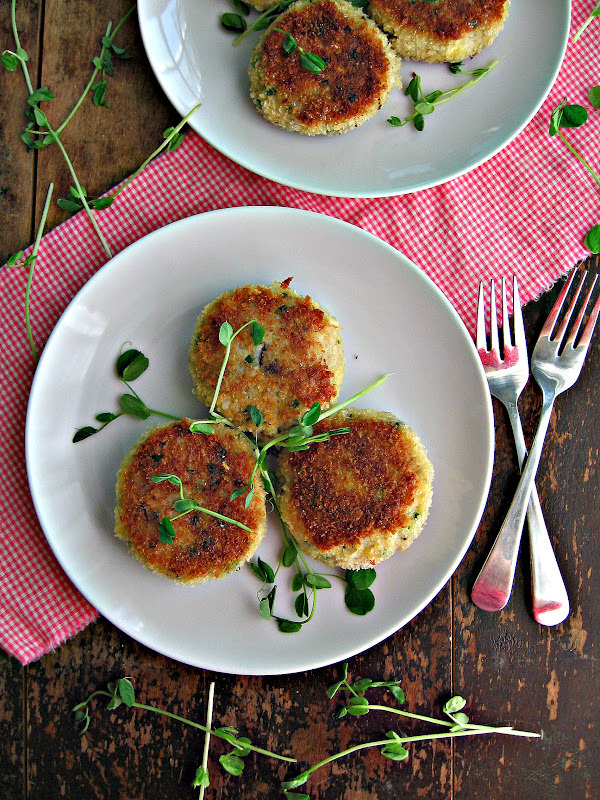 I have to admit, I've never had risotto cakes, but these look amazing! 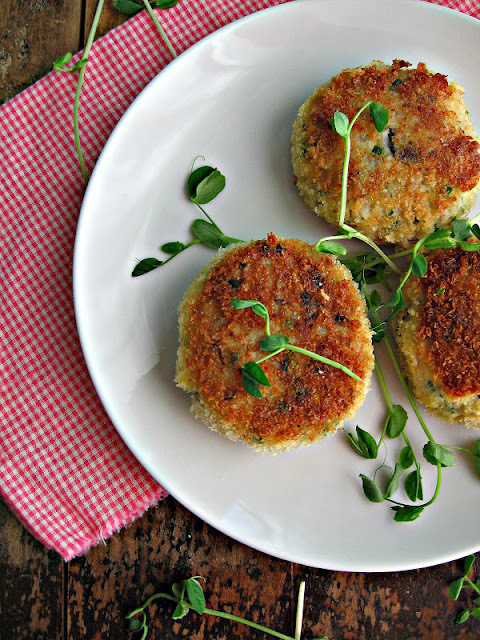 I do love risotto cakes, and I'm super jealous of your morel supplier! Renee, I'm not sure which is more drool-worthy... that massive pile of morels ( so JEALOUS) or your gorgeous risotto cakes. Yum! Hi, new follower here! Just found your blog and I'm in love with it already. These risotto cakes look AMAZING. Hi Becca! I'm so happy you found my site - enjoy!